The Country Club of Indianapolis was born more than 120 years ago in a remodeled farmhouse. The club offers dinner reception service for up to 200 guests and Complimentary Parking. Enjoy our spacious ballroom with space for up to 220 people. Pose for beautiful wedding portraits in the gazebo, our elegant Clubhouse or outside on our beautiful grounds Impress your guests with our refined ambiance and exquisite service. This truly beautiful wedding venue offers brides and guests unforgettable wedding memories that will last a lifetime. 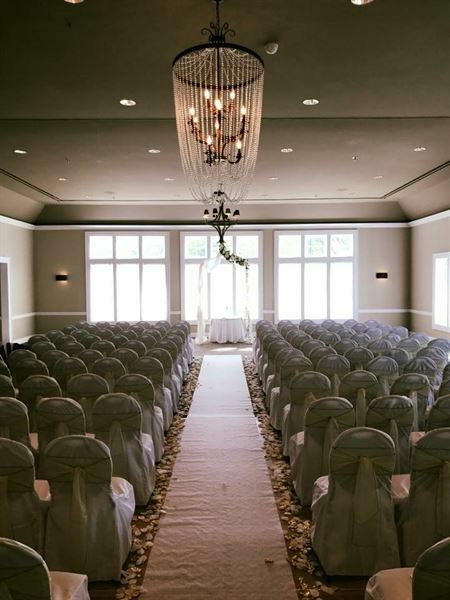 The Country Club of Indianapolis turns your brides' dream into reality. Let us take the stress out of planning your big day. Our event director works with you ensure that the details are covered. Indoor and outdoor ceremony and reception spaces. The Country Club of Indianapolis hosts hundreds of business events annually. Whether you are organizing a small luncheon meeting for 10 guests, a formal dinner for 200 guests or a golf outing for 144 golfers, CCI has the facilities to accommodate your event. With an experienced catering staff, extraordinary service, an award-winning culinary team and a championship golf course, your event is sure to be successful.